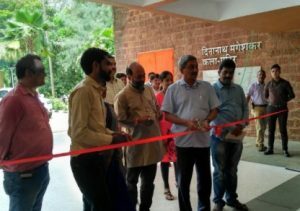 Goa Chief Minister Manohar Parrikar inaugurated MODI Fest in Goa. To celebrate achievements of three years of National Democratic Alliance (NDA) government at Kala Academy in the city. 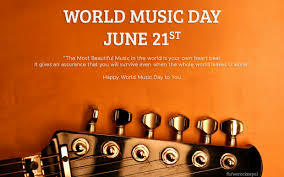 The exhibition has been organised as part of mass outreach programmes being organised by the Ministry of Information and Broadcasting across the country. Union Minister of Youth Affairs and Sports Shri Vijay Goel and Union Environment and Science &Technology Minister Dr. Harshvardhan flagged off the 3rd Slum Yuva Daud in Delhi. 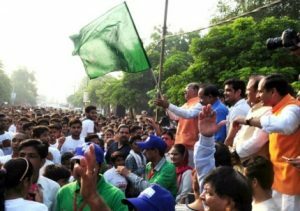 Thousands of youth from Delhi slums participated in the run which started from Kasturba Gandhi Polytechnic, Pitampura and ended at Pitampura Sports Complex. 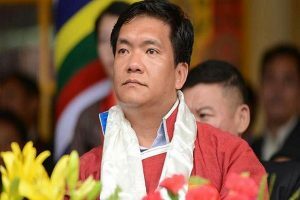 The Arunachal Pradesh government has decided to increase the retirement age of regular state government employees from 58 to 60 years with effect from January 1 next year. 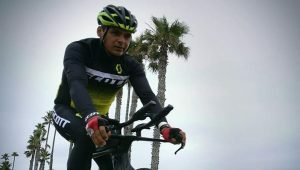 Nashik’s army doctor Srinivas Gokulnath and Nagpur’s doctor Amit Samarth made history, as they became first solo finishers from the country in the Race Across America (RAAM), one of the most esteemed ultra-endurance cycling events in the world. 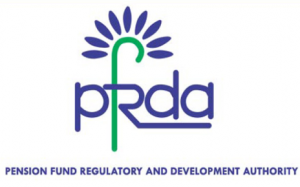 The Pension Fund Regulatory and Development Authority (PFRDA) conducted a workshop on the National Pension System (NPS) for corporate in coordination with the FICCI (Federation Of India Chamber Of Commerce & Industry). In the Meeting, PFRDA officials clarified the queries regarding joining of the NPS, the tax benefits, the POPs details, the timelines, the transfer of superannuation fund to the NPS and annuity etc. Kerala State Finance Minister Thomas Issac announced that Kerala government is investing about Rs 50,000 crore on infrastructure projects this year to enhance job opportunities for the youth in the state. 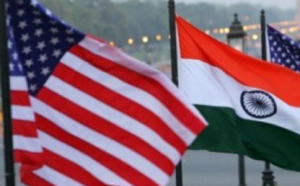 The US-India Business Council (USIBC) has constituted a task force to identify opportunities in the Indian civil aviation sector. The task force, chaired by engine maker Pratt & Whitney’s managing director (India) Palash Roy Chowdhury, will focus on identifying opportunities based on the National Civil Aviation Policy (NCAP). Amber Dubey would be co-chairman of the India task force. 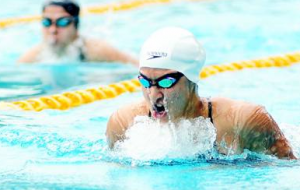 The Glenmark 34th Sub Junior National and 44th Junior National Aquatic Championships would be organised by Maharashtra State Amateur Aquatic Association in Pune and will see over 1,400 athletes taking part in swimming, diving and water polo disciplines. The sub junior nationals are to be held between June 28 and 30 to be followed by the junior nationals between July 3 and 6. All the events are to be conducted at the Shiv Chhatrapati Sports Complex in Mahalunge-Balewadi. 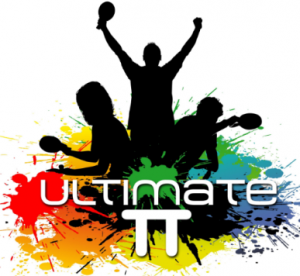 The inaugural Ultimate Table Tennis (UTT) is the country’s first-ever professional table tennis league will be kick off with the first leg here from July 13 to 20 in Chennai. After the first leg, the League would move to New Delhi where the second leg would be held from July 21 to 25 at the Thyagaraj Stadium. The final leg of the league would be held in Mumbai starting July 26 with the Semi-finals and final to be played at the National Sport Club of India in Mumbai. 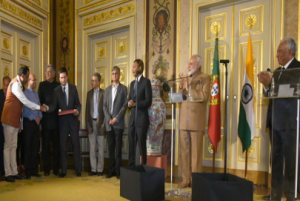 India Prime Minister Modi and Portugal Prime Minister Costa launched a unique start-up Portal – the India-Portugal International Start-up Hub (IPISH) in Lisbon. This is a platform initiated by Start-up India and supported by Commerce & Industry Ministry and Start-up Portugal to create a mutually supportive entrepreneurial partnership. 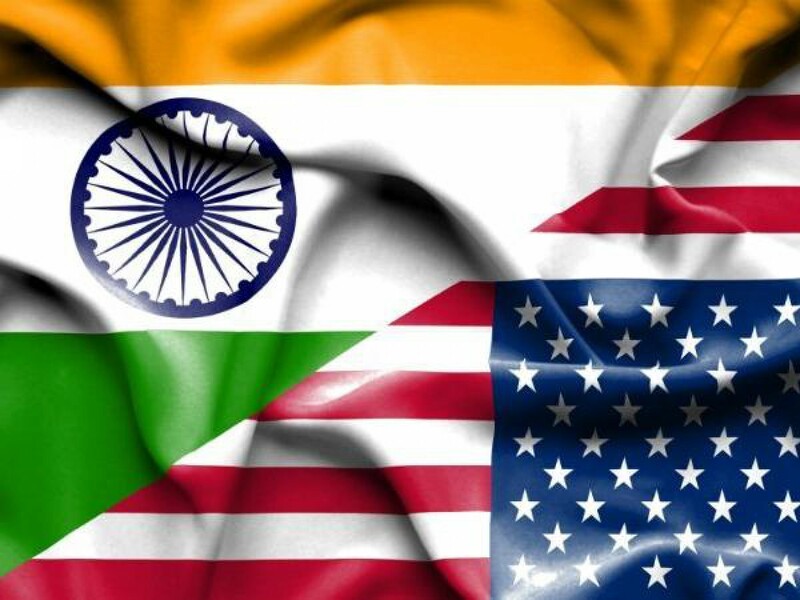 IPISH hosts a range of tools and will provide information on the start-up hotspots of Bangalore, Delhi and Lisbon; and on associated subjects, such as policy, taxation, and visa options. It will develop a Go-To-Market Guide to support start-ups. 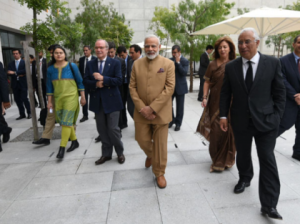 Prime Minister Narendra Modi and Prime Minister Antonio Costa jointly visited the Champalimaud Foundation in Lisbon. 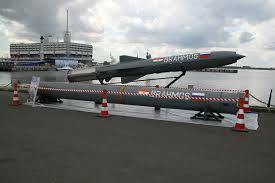 The Champalimaud Foundation is a private biomedical research foundation. It provides cutting-edge cancer treatment, and supports “ahead of the curve” cancer research. It offers a new holistic approach to medical care that integrates day to day treatment with research and innovation in a green environment, closely linked to nature. 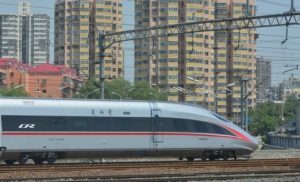 China’s indigenous next generation bullet train with a maximum speed of 400 kmph made its debut on the country’s busiest Beijing-Shanghai line. ‘Fuxing’, a CR400AF model, departed Beijing South Railway Station at Shanghai. Prime Minister Narendra Modi on departed for Amsterdam, Netherlands. This is the final leg of his three-nation tour after concluding his visit to the United States and Portugal. PM Modi’s trip to the Netherlands has assumed significance as this year, India and the Netherlands are celebrating 70 years of establishment of diplomatic relations. PM Narendra Modi would be the first Prime Minister to visit the country after 13 long years. The Netherlands is India’s 6th largest trading partner in the EU and 5th largest investment partner globally. Banks will have to make higher provisioning on 12 large loans being referred to the National Company Law Tribunal (NCLT) under the Insolvency and Bankruptcy Code, 2016 (IBC). 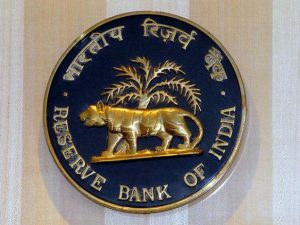 The RBI, had asked them to make 50 per cent provisioning on these 12 loans which are worth around Rs 2,00,000 crore. It has asked banks to set aside 50 per cent provision against the secured portion of these loans and 100 per cent provision against the unsecured part. 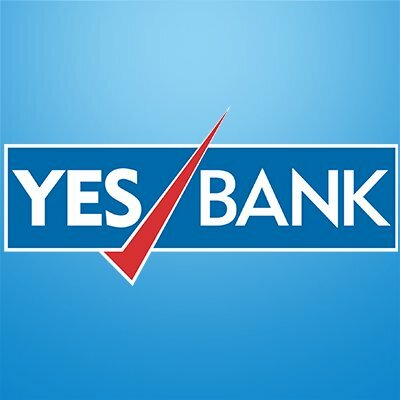 If the cases are not resolved and these companies end up for liquidation, banks will have to make 100 per cent provisioning. 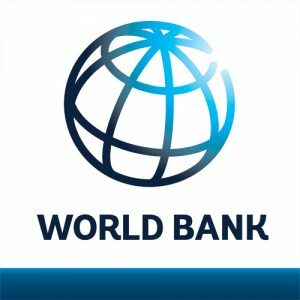 The World Bank has cleared a USD 250-million loan for making Indian youth more employable through reskilling, in a move that is seen to aid the Skill India mission. It said the support will help the youth contribute to India’s economic growth and prosperity. It will increase the market relevance of short-term skill development programmes (3-12 months or up to 600 hours) at the national and state level. Under the programme, adults in 15-59 years of age, underemployed or unemployed, will get the skill training. In a bid to come close to an ambitious divestment target of Rs 72,500 crore for 2017-18, the Narendra Modi government aims to top at least Rs 25,000 crore in stake sales for April-September, the highest-ever for the first half of any year. 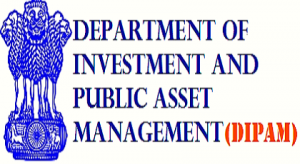 For April-June so far, the Department of Investment and Public Asset Management (DIPAM), has already garnered around Rs 6,600 crore. 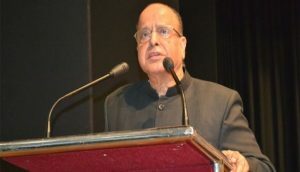 The Union ministry of human resource development has appointed former Indian Space Research Organisation (ISRO) head Krishnaswamy Kasturirangan to head the much-awaited committee to draft the National Education Policy. 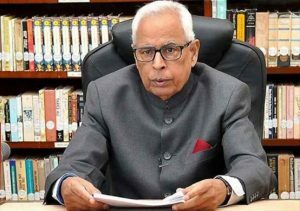 Jammu and Kashmir Governor N N Vohra has been appointed the president of the India International Centre (IIC) – one of the premier cultural institutions in the country. He also appointed as the president at the Annual General Meeting (AGM) after eminent jurist Soli Sorabjee quit the presidential post. The National Skill Development Corporation appointed actress Priyanka Chopra as an ambassador for the Skill India campaign. Earlier, Indian cricket captain Virat Kohli, batting legend Sachin Tendulkar, Bollywood actors Sidharth Malhotra and Shabana Azmi and singer Mohit Chauhan had also become goodwill envoys for Skill India. The Skill India campaign was launched by Prime Minister Modi in July 2015. The government aims to train 40 crore people by 2022 through its skilling initiatives. 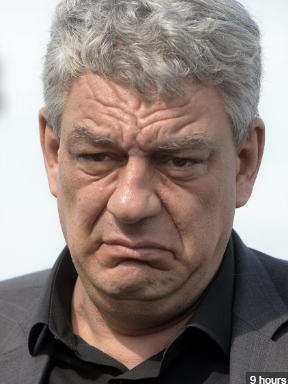 In Romania, President Klaus Iohannis appointed Mihai Tudose as Prime Minister, clearing the way for a New Leftist Social-Democrat-led government to be formed. 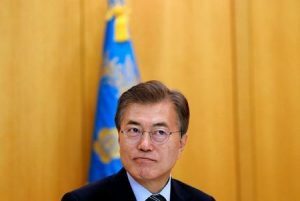 South Korean President Moon Jae-in made a second attempt at appointing a justice minister after his earlier choice withdrew over questions about ethics and views on women. His nomination of Park Sang-Ki, a legal scholar, came 11 days after the earlier candidate, Ahn Kyong-whan, withdrew over controversies that when he was a young man he had forged the seal of a woman. 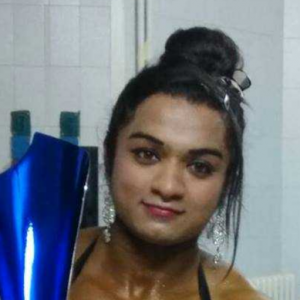 Dehradun’s Bhumika Sharma bagged her Miss World title and the gold medal at the world championship in Venice. 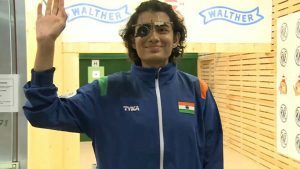 Yashaswini Singh Deswal won a gold at the women’s 10m air pistol event to help India consolidate their second position in the medals tally with two gold, one silver and one bronze at the end of day two of the ISSF Junior World Championship Rifle/Pistol in Suhl, Germany. 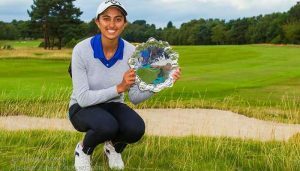 Leading Indian golfer Aditi Ashok secured a career-best tied 25th finish in LPGA’s Walmart NW Arkansas Championship. At the top So Yeon Ryu, the world’s third ranked player, captured her fifth career win on the LPGA. With her victory, Ryu ascends to No. 1 in the rankings for the first time in her career. Roger Federer won the 100th career title at Halle open tennis tournament. In the tournament final, Roger defeated Alexander Zverev in straight sets. Out of 100 titles, 92 of which are single crowns and eight have come in doubles title. 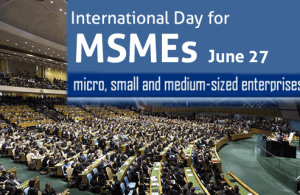 Recognizing the importance of micro, small and medium-sized enterprises (MSMEs) in achieving the new global development goals, the United Nations General Assembly has designated 27 June as International Day for MSMEs. Lupin founder and Chairman Desh Bandhu Gupta passed away in Mumbai. He was 79. Noted Malayalam filmmaker K.R. Mohanan passed away on Sunday. He was 69.